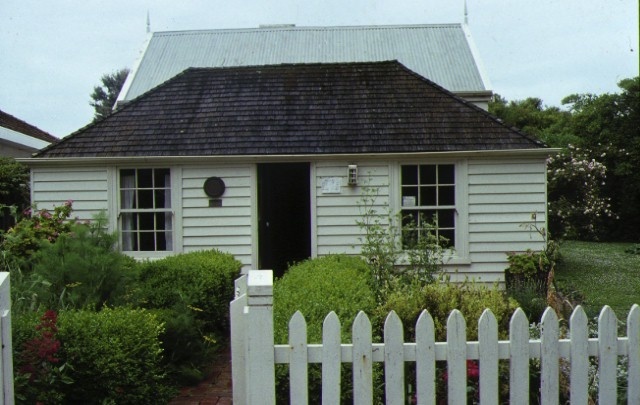 Motts Cottage, named after the owner and occupant, Sarah Jane Mott from 1918 until 1944, is located within the main street grid of Port Fairy. The Mott family worked as fishermen, boatmen and labourers in Port Fairy. The oldest part, the single storey, two-room timber section may date from about the time the town was surveyed and laid out in 1845, or even before since it is skew to the street. The two storey stone section was built before 1856 when Mrs Jane Chastel leased the property. Another tenant, John Hooper, a successful stone mason purchased the property from Atkinson's Special Survey sale in 1885 and subsequently he, or his daughter Caroline, ran it as a boarding house, perhaps the reason for a skillion addition at the rear, used as the kitchen. Another room and simple cast iron trimmed verandah were added at the front possibly at the same time, but were since removed when the cottage, purchased by the National Trust in 1973, was converted to its current use as a house museum in 1977. The garden gazebo was built in the early 1990s to house a sundial. The house is relatively intact to the 1860s period and is in good condition. 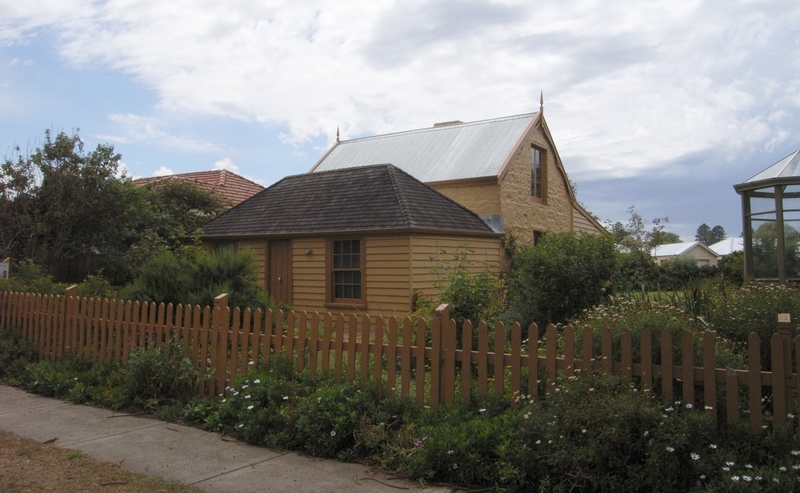 Motts Cottage is of architectural and historical importance to the State of Victoria. Architecturally, the cottage demonstrates humble vernacular construction techniques in timber and stone. Historically it reinforces the modest character of a pioneering town of national significance. Borough of Port Fairy. No. 254. Motts Cottage, 5 Sackville Street, Port Fairy. WHALERS MOTT AND STEPHENSON OCCUPIED THE HOUSE, THE CLAIM IS UNSUBSTANTIATED. AS A MUSEUM HOUSE. OF LOCAL SIGNIFICANCE. The purpose of the permit exemptions policy is to allow works that do not impact on the significance of the place to take place without the need for a permit. If any doubt exists as to the need for a permit, an owner should contact Heritage Victoria or its representative, usually the local Heritage Adviser. Works done in accordance with a Conservation Management Plan are generally exempt from permits. It is recommended that the following external works, subject to the recorded advice of the local Heritage Adviser, are exempt from the need for a permit. All non-structural works to the rear and side yards. Installation, removal or replacement of electrical wiring if all new wiring is fully concealed and any original light switches, pull cords, push buttons or power outlets are retained in-situ. (Note: if wiring original to the place was carried in timber conduits, then the conduits should remain in-situ.). consideration should be given to the removal of the Coprosma repens (an historical species but also a declared noxious weed) and its replacement with a suitable alternative.